Blackburn Rovers held on for dear life as they managed to take away an unlikely point in a match that had pretty much everything. Thats right Richard Smallwood had to go between the sticks to help rescue a point as David Raya was struck in the face by Jay Rodriguez. At that point the match was level at 1-1. Before that West Brom took the lead through some shoddy defense by Rovers which lead to a corner and goal by Dawson. Rovers entered the 2nd half with more attacking gumpf and with continued pressing eventually took the lead through Harrison Reed who was by far the best player on the pitch. Then the drama with Raya and Smallwood made for an exhilarating match which we held on for a point. West Brom will be kicking themselves as they missed the chance to go away with all 3 points. Later on the channel a more detailed review of the match including words from the gaffa. Swansea City bounce back from their defeat on Saturday and claimed an impressive win over Blackburn Rovers at the Liberty Stadium. Despite taking the lead with a Charlie Mulgrew penalty Rovers threatened very little but still went into half time with their noses in front. Swansea did create multiple chances, and exploded out of the blocks in the 2nd half. Rovers held firm until a shot by Fulton hit the post and bounced off the back of David Raya into the net to levels the scores. A second Swansea goal soon followed by Roberts, before they ran away with the points with a 3rd and final goal by Celina. Swansea much better than their league position suggests and should expect to see them climb the table. Swansea City: Nordfelt, Roberts, van der Hoorn (c), Olsson (Fulton, 46), Carroll (Fer, 46), Naughton, Grimes, Celina, McBurnie (Baker-Richardson, 89), James, Carter-Vickers. Unused substitutes: Mulder, McKay, Rodon, Asoro, Baker-Richards. Goal: Raya OG, 64, Roberts, 68, Celina, 85. Rovers: Raya, Bennett, Lenihan (Rodwell, 11), Mulgrew (c), Bell, Evans (Rothwell, 70), Smallwood, Reed, Dack, Armstrong, Graham (Brereton, 59). Unused substitutes: Leutwiler, Williams, Conway, Palmer. In this video we hear from Swansea City supporter Buddy Hill and also get some reassurance from the Gaffa Tony Mowbray. Blackburn Rovers returned from international break with a win over high flyers Leeds United 2-1. Goals from Danny Graham and Darragh Lenihan pushed Rovers over the line as Leeds lost their first away game of the season. Leeds made things interesting by scoring on the stroke of half time Klich the goalscorer. It was a high tempo game that offered many opportunities for both sets of players but Tony Mowbray will be the happier of the coaches. In this video we hear from Leeds United supporter Heidi Haigh with her thoughts and reaction to the result. The Gaffa Tony Mowbray gives us his opinion on the match, plus analysis and other reaction. Rovers: Raya, Bennett, Lenihan, Mulgrew (c), Bell, Evans, Smallwood (Rodwell, 57), Reed (Conway, 68), Dack, Armstrong, Graham (Brereton, 61). Unused substitutes: Leutwiler, Williams, Rothwell, Palmer. Leeds United: Peacock-Farrell, Cooper (c), Roofe (Hernandez, 70), Alioski, Roberts, Saiz, Dallas (Clarke, 76), Jansson, Phillips, Berardi (Shackleton, 86), Klich. Unused substitutes: Blackman, Forshaw, Pearce, Baker, Shackleton. Blackburn Rovers returned to winning ways as they beat beat Bolton Wanderers 0-1 at the Macron Stadium. The only goal of the game came in the 1st half through a lovely team move which resulted in Bradley Dack sticking the back in the back of the net. Bolton can count themselves unlucky as they pressed Rovers in the 2nd half in search for an equalizer, however it never came. Rovers ended the day in 9th position in the table with Bolton in 16th. Next up for Rovers they take on Leeds United at Ewood Park. In this video we look back at the match in a little more detail, with comments from the fans, the manager and more. Rovers: Raya, Bennett, Lenihan, Mulgrew (c), Williams, Rodwell (Smallwood, 59), Reed, Rothwell (Evans, 59), Dack, Palmer (Armstrong, 70), Graham. Substitutes: Leutwiler, Bell, Brereton, Conway. Booked: Williams, 45, Reed, 66, Raya, 86. Bolton Wanderers: Matthews, Lowe, Oztumer, Buckley (Wildschut, 46), Noone (Dyer, 67), Hobbs, Olkowski, Williams, Magennis, Grounds (Doidge, 78), Wheater (c). Substitutes: Williams, Vela, Wilson, O’Neil. Booked: Magennis, 49, Lowe, 81, Williams, 89. Blackburn Rovers longstanding unbeaten home record has come to an end as Sheffield United claim all 3 points in a one sided match at Ewood Park. Two goals from Championship goalscorer Billy Sharp was enough for Sheffield United as the climb to joint top of the league. Rovers looked far from their best tonight and offered little in response, with only a couple of fleeting chances. They will hope to bounce back rapidly as they take on North West rivals Bolton Wanderers on Saturday. In this video we hear from the gaffa Tony Mowbray about the result, also look at some analysis plus some tweets from the fans. Rovers: Raya, Bennett (c), Lenihan, Williams, Bell (Rothwell, 68), Evans, Smallwood (Mulgrew, 46), Reed, Dack, Armstrong, Graham (Brereton, 56). Unused substitutes: Leutwiler, Rodwell, Conway, Palmer. Sheffield United: Henderson, Stevens, Fleck, O’Connor, Basham, Sharp (c) (Clarke, 83), Egan, Norwood, McGoldrick (Washington, 87), Freeman, Duffy (Coutts, 73). Unused substitutes: Moore, Lundstram, Stearman, Johnson. Booked: Stevens, 80, O’Connell, 90. Blackburn Rovers maintained their unbeaten home start to the season with a tough draw against a resolute Nottingham Forest team. Forest had an early chance to take the lead with a penalty, however Lewis Grabban managed to hit the bar on this occasion. Forest did however get their noses in front with some nice counter attacking football and Grabban made amense and put the ball in the back of the net. Rovers however dug their heels in and Adam Armstrong managed to squeeze the ball into the net with a cross/shot that beat the Forest keeper. Next up Danny Graham and Bradley Dack linked up again for Dack to tap home Rovers second. We looked good after that, however Forest were awarded a soft penalty which Grabban this time scored to give them a share of the points. In this video we hear form the Gaffa Tony Mowbray about the result, we get feedback from Forest fans on what they thought of the result, plus match analysis and more. Rovers: Raya, Nyambe (Rodwell, 59), Lenihan, Downing (Armstrong, 56), Bell, Reed, Evans (Rothwell, 75), Smallwood, Bennett (c), Dack, Graham. Unused substitutes: Leutwiler, Travis, Conway, Palmer. Nottingham Forest: Pantilimon, Fox (c), Guedioura, Colback, Grabban (Murphy, 85), Carvalho (Osborn, 81), Cash (Dias, 71), Robinson, Janko, Lolley, Hefele. Unused substitutes: Steele, Watson, Dawson, Darikwa. Goal: Grabban, 52, Grabban, 79. Blackburn Rovers picked up a massive 3 points after scrapping a cheeky away win against Stoke City. Rovers actually cruised to a three goal lead by the opening minutes of the 2nd half, and looked to have secured the win without breaking too much of sweat. However Stoke clawed their way back into the match, scoring a quick fire double to leave Rovers scrambling. Rovers nearly threw the points away as an effort by sub Peter Crouch nearly made its way into the net, but Blackburn can thank David Raya for his big body save. The drama was not over for Rovers as Stoke were awarded a penalty in the dying stages of the match, which Stoke failed to convert. A lucky escape in the end. As for the goals, one for Bradley Dack (of course), Danny Graham and the third by Harrisom Reed. Stoke City: Butland, Pieters, Allen, Ince, Etebo (Bojan, 89), Afobe (Crouch, 60), Martins Indi, Shawcross (c), Diouf (Berahino, 46), Martina, Woods. Unused substitutes: Federici, Williams, Fletcher, Crouch, Bojan, Edwards. Rovers: Raya, Nyambe, Lenihan, Williams, Bell, Reed (Rothwell, 80), Evans, Smallwood, Bennett (c), Dack (Brereton, 84), Graham (Armstrong, 84). Unused substitutes: Leutwiler, Downing, Travis, Palmer. Goals: Dack, 26, Graham, 44, Reed, 46. Likes, shares and subs appreciated. Blackburn Rovers escape Pride Park with a share of the points as Derby County fail to make all their possession and dominance count in a game that Rovers struggled to get into. In a match that offered very little to get excited about from a Rovers point of view, the only major opportunity that went our way was a Bradley Dack effort that went close. Derby on the other hand, looked a real threat from the off, and were so dominant that Tony Mowbray had to make a mid first half substitution. Conway was removed with Danny Graham coming on. Rovers did start to impose themselves in the last 15 minutes, but we could not really threaten Derby. However despite the terrible performance, I expect Rovers manger and fans are elated with the result. In this video we hear from the gaffa Tony Mowbray about the result. Also we get some fan input from both Rovers fan Rob Young and Chris Parsons from the Steve Bloomers Washing Podcast. All that and much more. Likes, shares and subs always appreciated. Derby County: Carson, Forsyth, Bryson, Tomori, Keogh (c), Mount, Josefzoon (Wilson, 69), Johnson, Bennett (Waghorn, 77), Nugent (Marriott, 79), Bogle. Unused substitutes: Roos, Wisdom, Huddlestone, Malone. Rovers: Raya, Nyambe, Lenihan, Williams, Bell, Evans, Smallwood, Conway (c) (Graham, 31), Dack, Palmer (Bennett, 53), Armstrong (Armstrong, 64). Unused substitutes: Leutwiler, Reed, Rothwell, Brereton, Downing. Booked: Williams, 46, Palmer, 48, Lenihan, 90. Blackburn Rovers returned to league action as they took on Aston Villa at Ewood Park. Rovers managing to grab a valuable point in the end despite going ahead with only minutes remaining on the clock. The goals came from Bradley Dack for Blackburn Rovers and Conor Hourihane for Aston Villa. Dacks goal was a cheeky wee backheel and Conor Hourihane’s was a belter from a free kick. An honest point in the end, in game which could have gone either way. In this video we hear from Aston Villa supporter Lindsay Williams about the result, plus words of wisdom from the gaffa Tony Mowbray about the result. Plus analysis and more. Rovers: Raya, Nyambe, Lenihan, Mulgrew, Bell, Evans (Brereton, 58), Smallwood (Reed, 66), Bennett, Dack, Armstrong (Williams, 74), Graham. Unused substitutes: Leutwiler, Rothwell, Conway, Palmer. Aston Villa: Nyland, Taylor, Tuanzebe, Chester (c), McGinn, Grealish, Jedinak (Hourihane, 76), Abraham, Hutton, Elmohamady (Hourihane, 76), Adomah (Kodjia, 69). Unused substitutes: Moreira, Whelan, Bree, El Ghazi. Blackburn Rovers will go into the international break after getting thumped by Bristol City at Ashton Gate. 4-1 the final score in favour of the hosts Bristol City. The only goal coming for Rovers was scored by Charlie Mulgrew direct from a corner kick. Bristol City leveled shortly after from a free kick. In the 2nd half it was all Bristol City as they ran away with it scoring 3 more goals. Ben Brereton made is debut from the bench, to little effect. 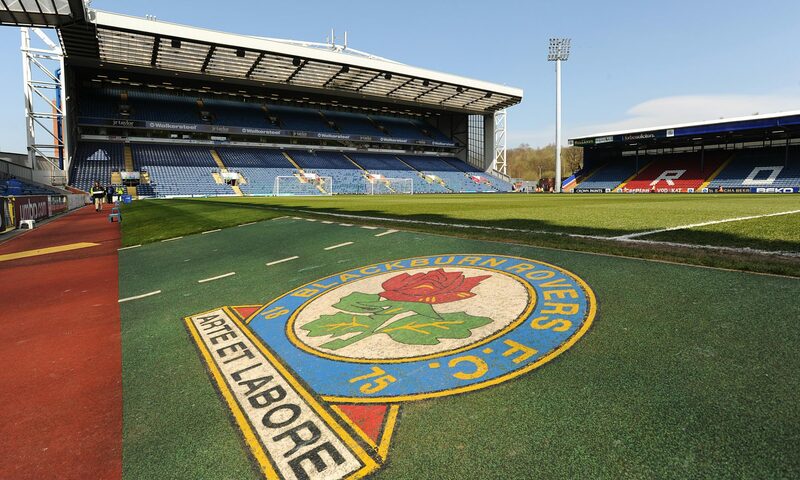 Moving forward Rovers will head back to Ewood Park to take on Aston Villa after the international break. In this video we hear from Bristol City supporter and co host on The One Stream podcast Dave Skinner about the result, plus words of wisdom from the gaffa Tony Mowbray about the result. Plus analysis and more. Bristol City: Maenpaa, Webster, Brownhill, Taylor (Diedhiou, 66), Weimann (Paterson, 84), Watkins (O’Dowda, 66), Kelly, Eliasson, Pack (c), Kalas, Hunt. Substitutes: Pisano, Da Silva, Walsh, O’Leary. Rovers: Raya, Nyambe (Rothwell, 65), Lenihan, Mulgrew (c), Bell, Smallwood, Evans, Palmer (Nuttall, 72), Bennett, Armstrong, Graham (Brereton, 56). Substitutes: Leutwiler, Williams, Reed, Conway.